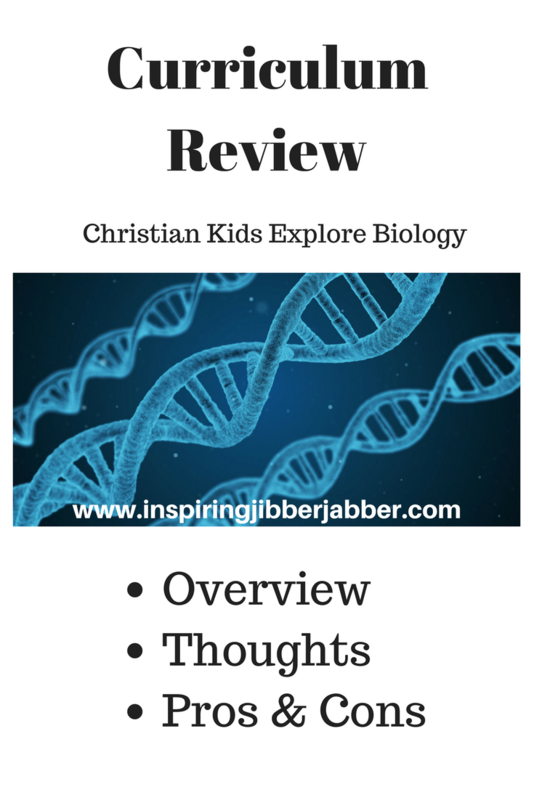 Christian Kids Explore Biology by Stephanie L. Redmond is an elementary Science curriculum with 35 lessons on various subjects such as cells, plants, trees, animals, and humans. The units are designed so that each lesson is completed in one week, thus making the book last the whole school year. Each lesson includes teaching time and hands on time. Each unit includes a coloring page and test. Activities, memory work, worksheets, and extra reading materials may also be used to complement each unit. The last section in the book contains appendixes( a-h) for the teacher: Reproducible forms and maps, memory and reference lists, scripture memory cards, ABC book instructions, coloring pages, recipes and supplemental activities, answer key, and suggested further reading. It's written from a Christian perspective. Not flashy! Although the cover is quite colorful…the pages inside are white with black print…not a hint of color! Suggested readings at the end of book…lots of great suggestions, but unless you have an eXcEpTiOnAl lending library close…you will spend some big bucks on these extra books. It’s better to use what you can find at your local library or online. We did not follow the course exactly...and that's the beauty of it! You can tweak it to fit your needs. The writer says you can use it for younger children just by making a few changes. We did TWO lessons per week and completed the course in half a year. Now we're moving on to Chemistry...maybe! I haven't decided for sure yet!